Last week, I toured the beautiful model homes for sale at Four Seasons at Lakes of Cane Bay. This 55+ community in Summerville located within the master planned community of Cane Bay Plantation is outstanding! The model homes give you a taste of the workmanship and plans that are going to be available among the many homes for sale at Four Seasons. With 26 different home designs, Four Seasons at Lakes of Cane Bay offers something for everyone. Many of the homes are 1 story, but some of the plans are two stories and others offer lofts. Homes range from 1300 to 3400 square feet and 2-3 bedroom homes. Expansive kitchens and spacious living areas make the homes in Four Seasons welcoming and perfect for hosting family dinners and informal gatherings. Lakeside clubhouse- 20,000 Sq Ft. Please feel free to contact me if you are interested in learning more about Four Seasons at Lakes of Cane Bay or are interested in a home for sale in a 55+ Community near Charleston, SC. I will be happy to help you learn about the Summerville/Charleston area and help you acclimate to each of the communities available in our great area. Del Webb Nexton Home- Ready to Move In! Do you want buy a home for sale in the new 55+ Community Del Webb Nexton, but don’t have time to build? This brand new Summerwood plan is ready to move in! Priced below appraised value, this home is a rare find in Del Webb Nexton. With a lovely master bedroom overlooking the pond, you will wake up ready to enjoy each day. The welcoming layout includes a guest bedroom, bath and office space. The gourmet kitchen with gas stove and large center island is perfect for gathering friends and family. Dining area overlooks the pond. Screened in porch for outdoor living. Enjoy all the amenities this 55+ Community in Summerville offers (Clubhouse, e indoor and outdoor pools, pickleball and tennis courts, a state-of-the-art fitness center, clubs and hobby groups. ) and live in one of Summerville’s premiere master planned communities, Nexton. Contact Me to See 160 Hedera Court, Summerville, SC. According to The National Association of Realtors’ most recent data, South Carolina ranks among the top five states where people are relocating. Of those relocating, 30 percent are retiring to South Carolina. With our beautiful coastal towns and enjoyable pace of life, those of us who live here understand why others want to join us! Where are People in the US Moving? If you are among the 30% who wish to retire to the Charleston area, Summerville has many wonderful options for you. Many enjoy living in a home in the Historic District of Summerville . This allows them be in the middle of the events and happenings of the town. Others prefer living in a 55+ community in Summerville where they can enjoy wonderful amenities including clubhouses, pools, fitness centers, activities and vibrant community. If you are contemplating retiring to South Carolina, I can help. Contact me for more information about the 55+ communities in our area or if you are interested in seeing real estate for sale in Summerville, SC , buying a home in the Summerville area, new home in Summerville , or a historic home in Summerville . Buying your last home is very different from buying your first home! Make sure you remember these 6 rules when you are buying a home in a 55+ Community near Charleston, SC. Get to know the Neighbors The 55+ Community in Summerville that you move into will be home to some of your soon to be best friends. Your fellow residents will be who you meet for bocce ball and a swim in the pool. See if you can attend a social function ahead of time and mingle a bit. Many communities have things going all of the time and offer open houses as well. Attend! Check out the medical care. Close proximity to the Summerville Medical Center, Trident Hospital and MUSC are all things to consider when you decide on the 55 and older community near Charleston that will be the best fit for you. Some communities may have concierge medical services. These are good questions to ask your Summerville Realtor. Consider Timing to get the best price. The temperature and condition of the real estate market in Summerville is always something to consider…is it a seller’s market or a buyer’s market? If it is a seller’s market (which it is right now in Summerville) you might not have the luxury of time before a retirement community is sold out. However, July and August are usually good times to buy real estate in Summerville, SC. The weather gets hotter and you can sometimes gain negotiating power as sellers become nervous about the spring market closing. If you like the pricing but you still have a few years before you are ready for the move, think about buying the home and renting to another retiree. Explore “membership.” Full-service communities frequently offer specific club membership requirements and options. Some 55+ communities near Charleston also charge annual dues and a food and beverage minimum. This is all par for the course, but make sure you know these things prior to signing so you aren’t unpleasantly surprised. This is where your Summerville realtor comes in and helps you navigate the questions. Read more about requirements for each 55+ Community near Charleston here. Check the activity calendar. First of all, is there one? Some of the Summerville 55+ Communities have a social director and activity calendar where others are not as structured. What fits your life and style? Read more about each 55+ Community near Charleston here. Research the restrictions. Rental and resale restrictions are common in gated communities. However, taking a look at the covenants and restrictions is important. You may not be able to put up that fence or park a third car in your driveway! People have wanted to retire in the Charleston & Summerville area dating back to the 1800’s. It may be that one of the seven new 55+ Communities near Charleston might fit your lifestyle and retirement needs. Please feel free to contact me if you are interested in a home for sale in a 55+ Community near Charleston, SC. I will be happy to help you learn about the Summerville/Charleston area and help you acclimate to each of the communities available in our great area. People have wanted to retire in the Charleston & Summerville area dating back to the 1800’s. With the addition of seven new 55 and older communities, Summerville is responding to this need! Living in an active adult community means maintenance-free living, planned social activities and meaningful friendships with your neighbors. Learn more about each of Summerville’s 55+ Communities. Within the beautiful Ponds development in Summerville are two 55 and older community options, Carillon was the first community to be built and Cresswind has followed. Cresswind is the larger of the two and offers a wide variety of amenities contained within the Cresswind at the Ponds community. The second of the two 55 & Older community options located in The Ponds in Summerville, is the Carillon section of the Ponds. One will find beautiful one and two-story homes for sale built by DR Horton. One of the advantages of living in the Ponds is the lush landscape you enjoy. This feature is not lost in Carillon with many of the homesites backing up to wooded areas and nature trails. Those who buy a home in Carillon will also enjoy their own private pavilion for outdoor gatherings and picnics. Currently the prices for homes for sale in Carillon are ranging from $263,900-341,900. Located with the master planned community of Cane Bay Plantation, building in Del Webb Charleston started in the summer of 2007. New and resale homes are now available for sale in Del Webb Charleston. 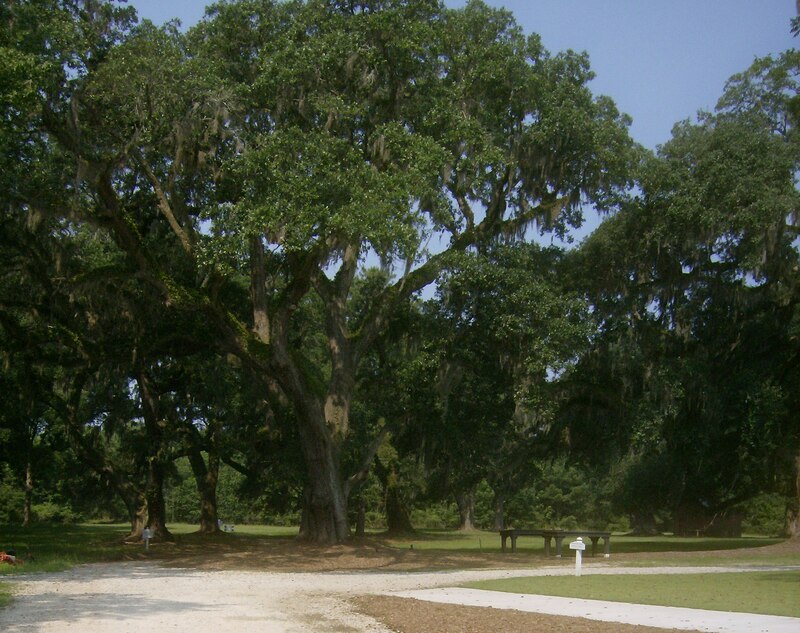 Homes for sale in The Pines at Gahagan are located in the heart of Summerville, SC. The Pines at Gahagan offers a wonderful development for those interested in a 55+ year old community in Summerville, SC with low maintenance living. Marrington Villas at Cobblestone is a 55+ community in Summerville, located off Highway 176 near Carnes Crossroads. Marrington Villas at Cobblestone is a beautiful community catering to those looking for minimal maintenance with the benefits of ownership. The European Courtyard Collection offers homes with spacious open floorplans and beautiful stone siding. Carillon is the newest addition to The Ponds in Summerville, SC offering a “senior living” option to homebuyers! The Ponds has already become beloved home to many Summervillians. Its welcoming landscape, serene ponds, and quality built homes have made it one of Summerville’s favorite new home communities. The Ponds has seen a need in Summerville for 55+ communities catering to retirees and those desiring to be close to the action, but a bit removed from the fast pace. As a result, the developers at The Ponds are opening Carillon, a new 55 and older community, as a gated addition to The Ponds designed especially for those desiring to downsize or retire. Within the Carillon section of the Ponds, one will find beautiful one and two-story homes for sale being built by DR Horton. One of the advantages of living in the Ponds is the lush landscape you enjoy. This feature is not lost in Carillon with many of the homesites backing up to wooded areas and nature trails. Those who buy a home in Carillon will also enjoy their own private pavilion for outdoor gatherings and picnics. Currently the prices for homes for sale in Carillon are ranging from $263,900-341,900. Floor Plan Options. Foster@HomesofSummerville.com for more information on this new home community. Building is underway at The Pines at Gahagan. Currently, 26 homes have been sold and 2 are pending sale in The Pines at Gahagan. Eventually, 109 homes will be built and sold in The Pines at Gahagan. The residents of The Pines at Gahagan enjoy a beautiful 4700 square foot clubhouse with a spacious kitchen, gathering room, excercise and weight room. Further benefits for the homes for sale in The Pines at Gahagan include a beautiful pool, ponds throughout the property, and low maintenance yards. If you are interested in seeing homes for sale in The Pines at Gahagan , don’t hesitate to contact me for a home tour. Foster@homesofSummerville.com or 1-843-974-6029. Interested in other 55+ and older communities in Summerville? Check out the six other 55+ Communities located in Summerville .